Finding online art programs can be tricky business. First, there's defining "art": graphic arts, fine arts, liberal arts and performing arts. So many choices and so many things to think about. Second, there's identifying which schools have online programs in the field, and which programs make the most sense for you. The following page highlights some of today's top colleges and universities with quality degree programs in multiple arts disciplines, and provides an in-depth guide for anyone looking to learn more about higher education in these diverse fields. Provides scholarships and cultural opportunities to encourage and develop the artistic talent of local youth. Cygnus Creative Arts Center offers programs for all levels of experience in dance, art & music which provide a complete course of study for those who wish to pursue professional careers. 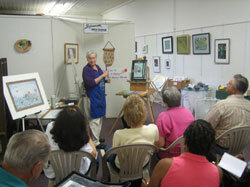 Provides classes in art for all ages and experience. Holds exhibits in partnership with the Atlantic County Library System/Galloway branch. 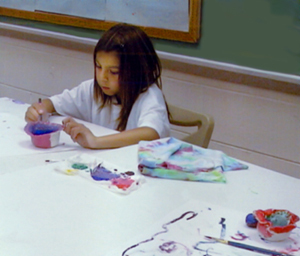 Hammonton Arts Center offers an extensive listing of visual art classes for all ages and levels of experience, monthly exhibits, and artist studio space. It also promotes an evening Arts on the Avenue on 3rd Thursdays of each month. Founded to commemorate the life and untimely death of young writer, poet and photographer Jennifer Cakert, it provides scholarships, minigrants, and cash awards as incentive for other young artists in the area. The Marty Wilson Jr. Art & Music Foundation provides support for art & music education in local schools & presents an annual scholarship. Formed to provide arts programs to Atlantic City schools. 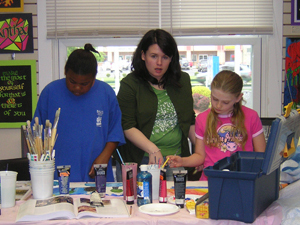 Offers Saturday visual art workshops open to the community at large age 18 and older. Ventnor City Cultural Art Center, Inc. Web Site: VENTNOR CITY CULTURAL ART CENTER, INC. Provides visual art and dance classes for all ages, including a multi-discipline summer arts program for young people. Holds an annual Ocean Breeze Arts & Crafts Show in summer.